Note: You can only buy books from the Calgary Public Library through its online store. 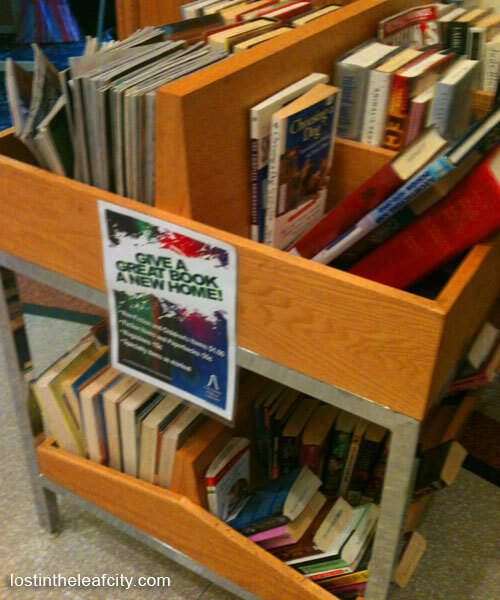 And if you want to declutter, why not try the book and media donations. Places as far as from where I came from and ancient grandeur long perished is just as close and tangible as the Tower overlooking the downtown. So I did frequent the Calgary Public Library not just to borrow books and DVDs anymore. I meant to buy Calgary used textbooks and fiction for my sole possession. At the corners or by the checkout counter you can spot shelves replete with books, magazines, and children’s books with affordable prices. Just as I scour the stacks of DVDs much of the time, I dig the cheap treasures. I couldn’t believe what it would cost me—a loonie or fifty cents. I was able to find books I am contemplating on buying online when the price is just right. Fictions adapted into movies are now in my to-be-read spot: The Host by Stephenie Meyer and “The Girl With A Dragon Tattoo” by Stieg Larsson. Anytime, anywhere, I can read these bestsellers. No more due dates or fine to worry about. Neither am I worried nor be turned off by not being the first to flip every page. What matters to me is that the used fictions are still in good condition: I get more than what I’ve paid. Once I’m done dealing with Frank McCourt’s Tis and Teacher Man (used books I purchased online on in Awesome Books that are still in good condition), I’ll get back to Meyer and Larsson. When you’re done visiting the Calgary Tower or tired of gazing from below, visit the Calgary Public Library. Don’t forget to check the shelves of used textbooks and books that you can buy though you’re not a member of the library yet.